Description : With Tripology you can tell where you want to go (say, to South Africa) and what you want to do while you’re there (say, an adventurous safari in Tanzania). 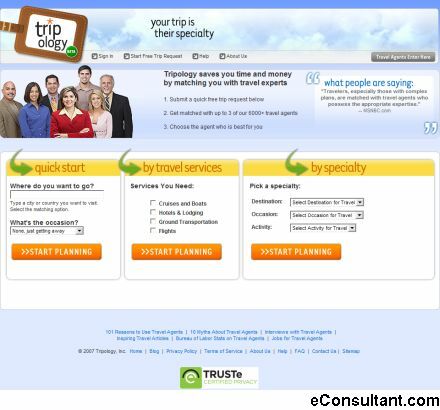 Tripology then send your request to travel agents who specialize in exactly the type of trip you’re interested in. Usually within 24 hours, you’ll receive an email or phone call (your choice) from three travel agents who can help you plan your trip. Choose the one that you like best, and go ahead and book with them directly.